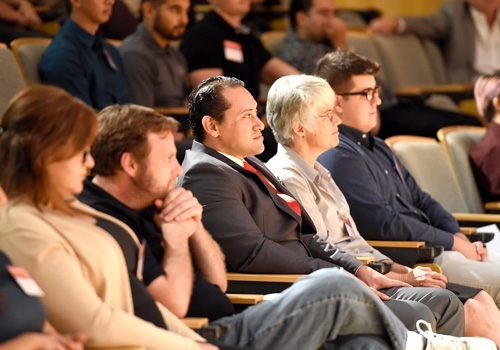 The Student Fast Pitch Competition is an innovative program offered by Inland Empire Center for Entrepreneurship (IECE) that gives CSUSB students an opportunity to jump-start their entrepreneurial dreams by presenting their business venture to a panel of investors and entrepreneurs. 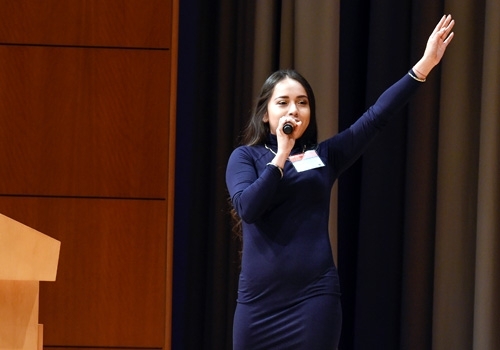 The annual competition consists of up to 15 student entrepreneurs giving 90-second fast pitches to a panel of investors and other members of Southern California's entrepreneurial community. Each fast pitch is judged for the quality of the presentation and its investment potential. 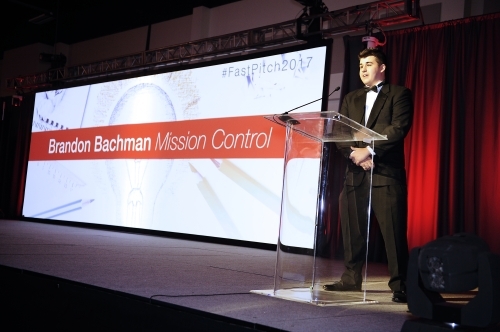 The deadline for submitting your Fast Pitch Idea for 2018 has passed. Please consider entering in 2019! Registration is now open! Be sure to reserve your seat for the Garner Holt Student Fast Pitch semi-final event being held at CSUSB SMSU Theater on November 8th. The finals for the event take place in front of an audience of 900 business professionals at the Spirit of the Entrepreneur Awards on November 15th! Pitch a Business or Product in 90 Seconds for a Chance at $4,000! Submit your entry by Sunday, October 14th, 2018 at 11:59 pm. Once your application is received along with a 250-word summary of the business concept, you will be in the running to be one of the 15 students selected to make a fast pitch at the qualifying event on November 8th. At the qualifying event our panel of judges (investors, entrepreneurs) select the top 5 students who will receive additional mentoring and coaching in preparation of making their pitch at the Spirit of the Entrepreneur event on November 15th. 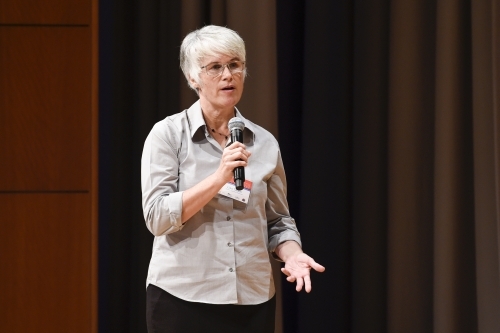 Learn What it's Like to Pitch to Investors and Entrepreneurs! 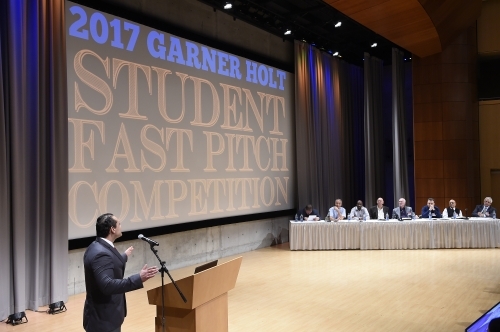 The Garner Holt Student Fast Pitch Competition is open to all students at Cal State San Bernardino. Submissions have now closed for 2018! Join Us on November 8th for the CSUSB Semi-Final Event! This year's semi-finals will be held at CSUSB SMSU Theater. Even if you're not competing, we invite you to support your fellow students. You're sure to hear some innovative ideas for potential products or businesses. Registration to attend is now open! The top 5 finalists from the Garner Holt Student Fast Pitch Competition will take the Spirit stage to deliver their final 90-second pitch to 900 audience members consisting of business professionals from across the Inland Empire! Garner Holt is the founder of Garner Holt Productions, the world’s leading producer of animatronic figures and theme show attractions with its creations featured in Disneyland parks, Universal Studios, and many more high-profile businesses. 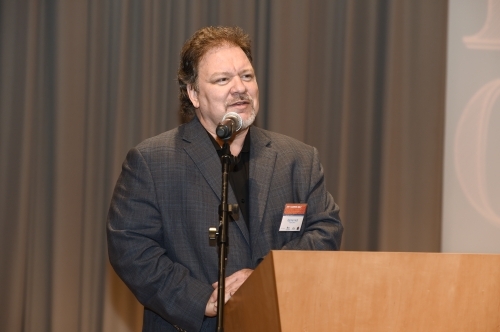 He continues to show his dedication to the spirit of entrepreneurship and the community every year by sponsoring the Garner Holt Student Fast Pitch Competition. All student entries will be evaluated by a panel of experts from Cal State San Bernardino's Entrepreneurship program. From the entries, we will select up to 15 students as semi-finalists who will receive mentoring and coaching in preparation of making a 90-second pitch to a panel of investors at the qualifying event on November 8th . At that event, 5 finalists will be chosen to make a final pitch at the Spirit of the Entrepreneur Awards on November 15th at which time the cash prizes will be awarded! All students entering must be currently enrolled at Cal State San Bernardino at the undergraduate or graduate level. All students will pitch proposed business ideas or businesses that have been in operation less than 1 year. All submitted materials must be the original work of the student. Deemed to be in violation of the CSUSB Code of Ethics. Violates any local, state or national law. Appears to be pornographic in nature.